As a business owner, it is important to keep both your customers and employees cool during the summer months. Make sure your business is never without air conditioning when that hot weather arrives in Roselle, Illinois. Do you remember the last time your air conditioner had regular maintenance? 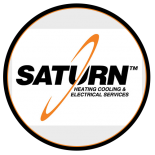 Saturn Heating Cooling & Electrical offers commercial cooling services similar to our residential cooling services. Let us make sure your business is never caught by surprise—or in the heat. Schedule commercial cooling services for your business now. A business that is not air conditioned is not only bad for employees, but is also bad for customers. No customer wants to shop in a store that’s hot and humid. This makes performing regular maintenance on your cooling systems that much more important. Our commercial electrical contractors will come out to your business to inspect your air conditioner before the summer heat arrives. At this visit, our technicians will make sure your cooling services are functioning properly and let you know if there are any needed repairs. If your air filters need to be replaced or you have a broken fan, leaks, or blockages, Saturn Heating Cooling & Electrical will take care of any needed repairs. This gives you the time you need to focus on your business. An air conditioner that needs maintenance also affects the air quality inside your business. Issues like dirty air filters and duct problems increase the dust particles in the air and reduce air circulation in each room. The summer weather already invites countless allergens into the air—make sure your commercial cooling system isn’t doing the same. Trust Saturn Heating Cooling & Electrical to ensure that your business has air quality that is safe and clean for everyone. It is not summer in Roselle without humidity. When the humidity leaks into your business, it creates a muggy environment for your employees and customers. A commercial cooling system that functions properly, however, will remove that humidity from the air. Keep your business cool and sweat-free with the best commercial services from us. Installing or replacing an air conditioner is a daunting task for any business owner. But when you’re seeing an increase in your monthly utility bill or your business isn’t staying cool enough during the summer, you know it is time to replace your air conditioner. Take the burden off yourself and your business and have our commercial electrical contractors install and replace your cooling unit for you. Don’t worry about removing the old air conditioning unit. Through our commercial cooling services, we will remove the old cooling unit and install a brand new one. Save both time and money by trusting Saturn Heating Cooling & Electrical to decide the best cooling system for your business’s needs. For some businesses, energy efficiency plays a large role in the services you choose. Choosing air conditioners that are more energy efficient will use less electricity and reduce overall emissions. Less electricity means that you are saving money on utilities each month, giving you extra funds to invest back into your business. Old cooling systems also have a lower SEER rating, which can increase your business’s carbon footprint. Make your business more environmentally friendly by upgrading to a higher SEER rating. Commercial electrical contractors from Saturn Heating Cooling & Electrical can help your business reduce both your carbon footprint and your monthly costs. Just ask us about installing or upgrading to our energy-efficient systems! Saturn Heating Cooling & Electrical can help you with all your air conditioner needs. Create a cool environment for both your employees and customers with a maintained cooling system, along with our energy-efficient options for companies that are going green. We also offer commercial heating services to provide you with year-round care for all your business HVAC needs.